Stark Vacuum Insulated Flask 40 oz. Great choice for your party, beach or tailgate event! Double wall stainless steel vacuum construction keeps drinks hot for 6 hours or cold for 24 hours. 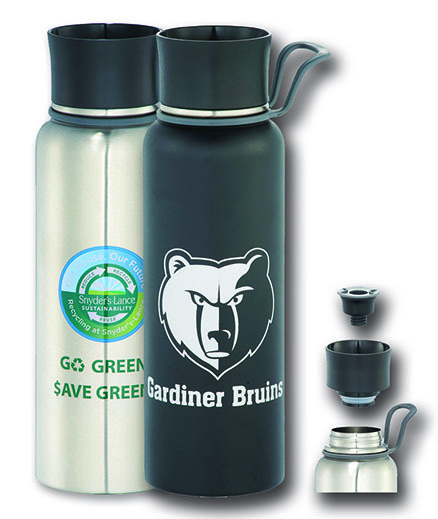 The lid can be disassembled for easy cleaning and features an innovative 360-degree drink top that opens and closes with a push button. Soft loop for comfortable portability. Price includes one standard imprint color on one side only. OPTIONS: Add the following item to your cart from the RELATED ITEMS area below if applicable. For logos: Add a set-up charge of $75.00 on new orders. Click here to email your logo. Standard production time is 1 week. 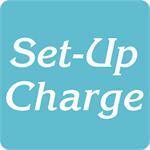 For orders that require a set-up charge of $75.00.